What Do You Mean By "Dizzy"? People use the word “dizziness” to describe two different feelings. Many do not know that they have completely different meanings. It is very important to know if you say “I feel dizzy” and what that really means to get the real cause of the problem. “Light headed” is when you are about to “pass out”. You do not feel like you and everything around you is spinning. This fainting feeling eventually goes away or gets better when you lie down. You may want to throw up and feel sick to your stomach. 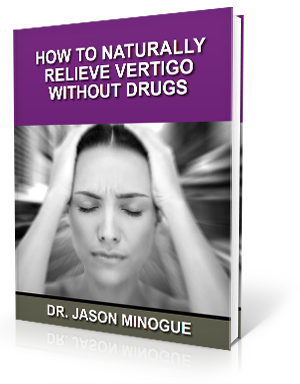 Now “vertigo” is a feeling you and everything around you is spinning but people often use the term dizzy. You feel out of balance and not right at all. When the spinning gets really bad, you also want to throw up or vomit and feel sick to your stomach and nauseated. It gets tough to walk or stand. The worst about vertigo is that you fall a lot. All ages, young and old, can suffer from dizziness. It is much more common in older adults. Just the fear of dizziness and falling can cause you not to want to leave the house. What if the dizziness gets worse? What if one of the falls leads to a serious injury? What would your life be like? It is common to feel lightheaded or dizzy from time to time but it is not normal. Dizziness is a sign of an underlying problem. One of the most common and lesser known causes of dizziness is the dysfunction of the upper cervical spine. The atlas bone is located at the top of the neck. It houses the brain stem which is part of the central nervous system. Lightheadedness can be caused by the pressure caused by the misalignment in the neck. By gently putting the atlas back into alignment with the rest of the body through specific upper cervical chiropractic care, the word “dizziness” will no longer be needed to describe what you are feeling and can be removed from your dictionary. Blahd H. Dizziness: Lightheadedness and Vertigo – Topic Overview. 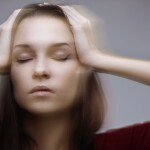 http://www.webmd.com/brain/tc/dizziness-lightheadedness-and-vertigo-topic-overview (accessed 14 August 2015). Burcon M. Upper cervical protocol to reduce vertebral subluxation in ten subjects with Menieres: a case series. J Vert Sublux Res 2008; 2008(2): 1-8.